Thanksgiving is probably my favorite holiday. How could it be otherwise? It is all about food…and the table…and gratitude for both. The sheer volume of Thanksgiving-appropriate recipes that I have posted to my blog is the proof of my love. I have not yet posted a recipe for turkey, but if you are looking for ways to fill out your Thanksgiving menu, you will find many ideas right here….appetizers, desserts, vegetable side dishes…as well as pumpkin baked goods of all kinds. Sadly, right up until yesterday I thought I wasn’t going to find the time…or even the material…to post anything new for this year. Returning from my idyllic vacation to the beginning of what is known as “the busy season” in the food service industry felt a bit like being plunged into a cold swimming pool without benefit of having tried the water with my toe beforehand. I knew I was going to be busy…but I wasn’t quite ready for it. From the moment I unpacked I have scarcely been able to catch my breath. But just as suddenly as it started, I have hit a momentary lull…and even discovered that it is in my power to add a couple of more Thanksgiving recipes to those collected here. During the past week I taught two Thanksgiving themed classes. On Thursday I taught the third incarnation of a class all about ways to use winter squash and sweet potatoes. Although not specifically about Thanksgiving recipes, these two ingredients are such traditional elements of the Thanksgiving spread that almost any of the things I teach in this class would be at home on a Thanksgiving table. In these classes I always talk about roasting and puréeing squash and sweet potatoes…and ways of using the results. Happily for me, I roasted too much sweet potato and returned home with just enough to make a small batch of sweet potato biscuits to go with a salad for dinner the next evening. Since I teach these biscuits in the first version of this class—and I am now on version three—it has been a while since I made them. And they are so delicious. As we enjoyed them, I realized they would make a good Thanksgiving recipe for my blog. 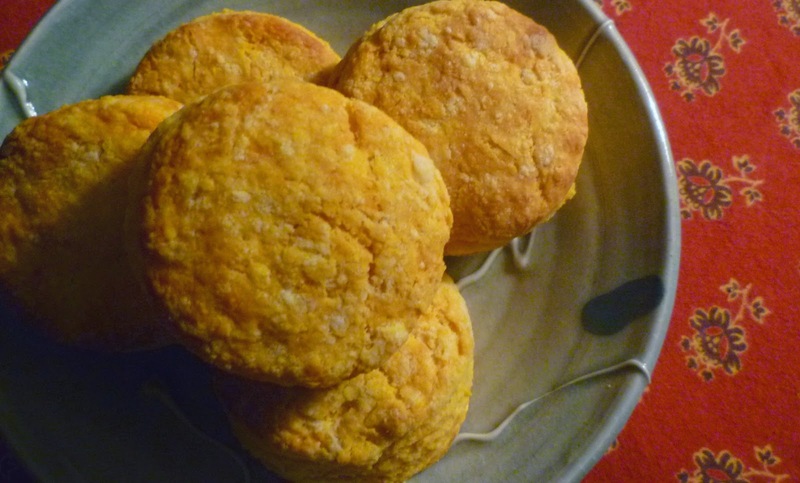 If you are a southerner, these biscuits are probably already in your repertoire….and probably make up part of your Thanksgiving menu. 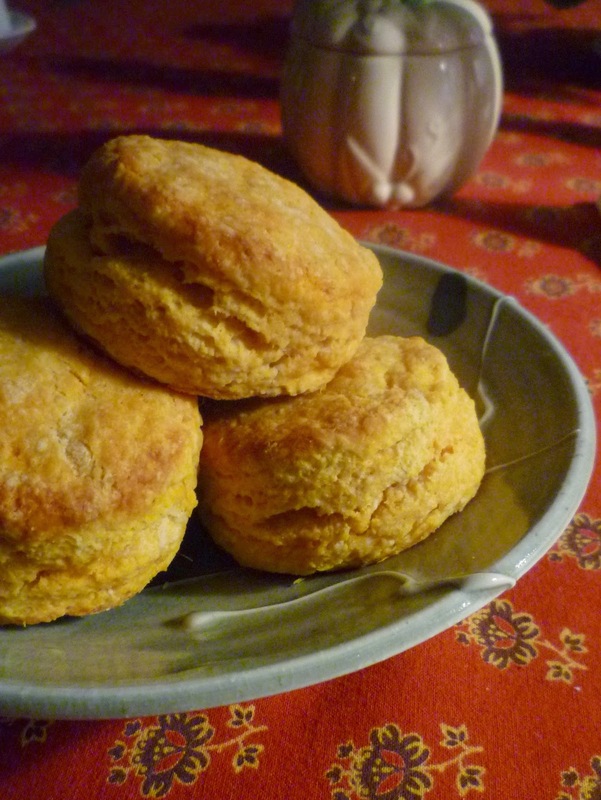 But if you are not, or you have never made or tasted sweet potato biscuits, you should give them a try. They are easy to make (can even be frozen in their raw form and baked from frozen) and are a great way to keep the traditional sweet potato element on the Thanksgiving table. 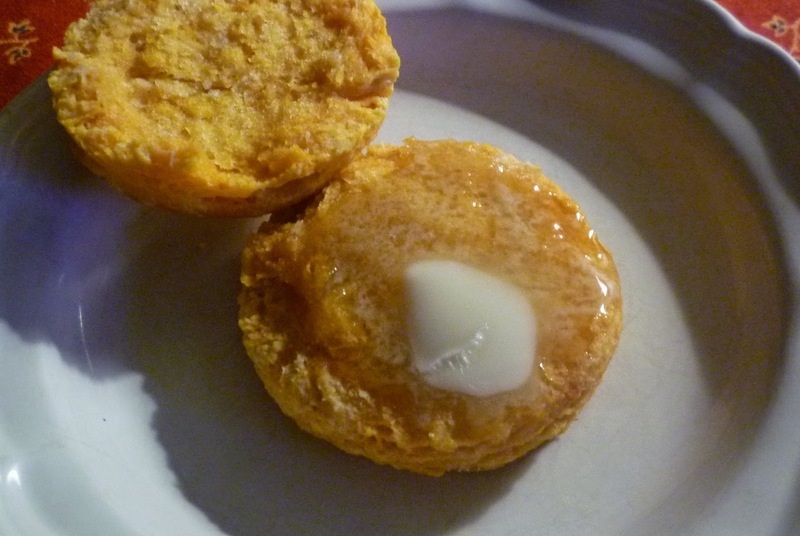 When you make the dough for these biscuits, you will be tempted to add too much liquid. As I explain in my post for pumpkin scones, the flour doesn’t absorb the liquid from the vegetable purée as quickly and readily as it absorbs milk (or cream…or buttermilk). Start with about a third cup of the milk and then if the dry looking crumbles of dough won’t adhere when pressed together, go ahead and add a bit more milk. 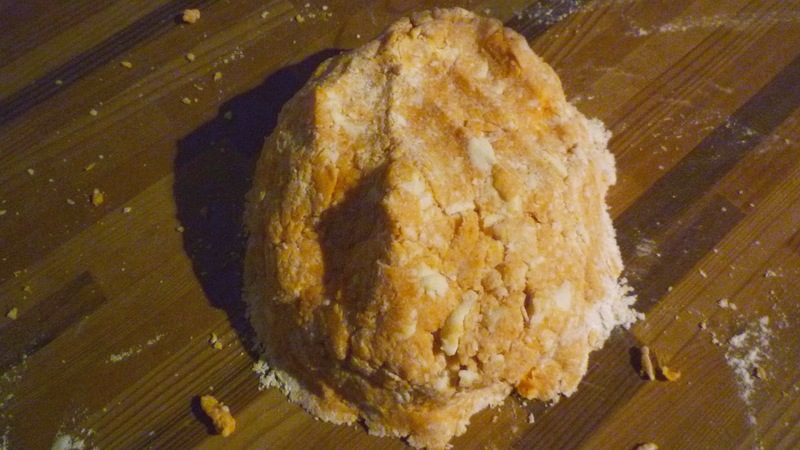 The final mixture will not look like a traditional, cohesive, soft biscuit dough…so don’t be alarmed. As long as it can be pressed together, you are on the right track. The other class I taught this week was a Thanksgiving Favorites class with my friend (and chef) Nancy. My contribution to the class included my grandmother’s dinner rolls as well as two recipes that have already made an appearance here (Sweet Potato & Mushroom Gratin and Pumpkin Pot de Crème). 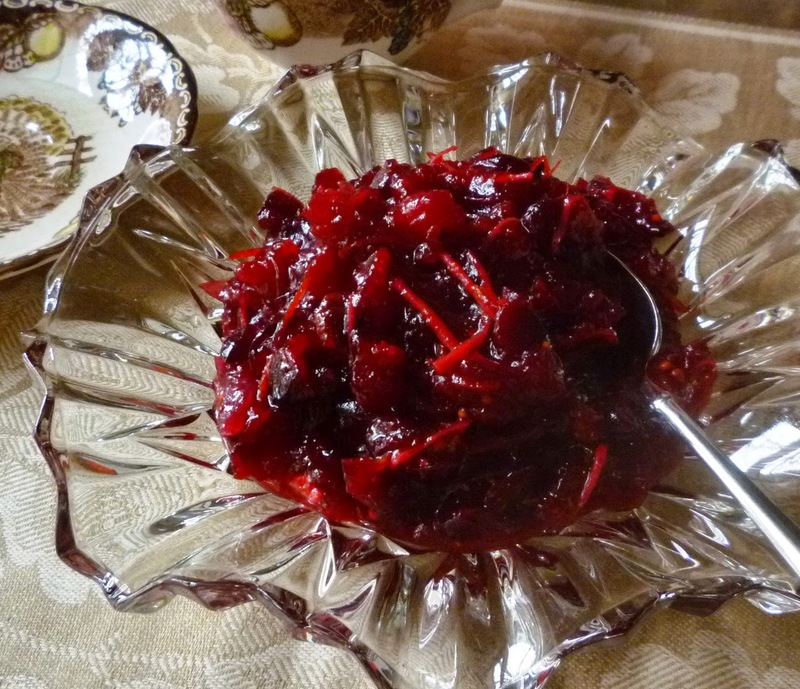 One of the recipes that Nancy brings to the class is a wonderful—and different—recipe for roasted cranberry sauce. I have never made it for my family because my family is pretty attached to their style of cranberry sauce, but every time we teach this class together, I love getting to sample it afterwards, and I am always struck by the brilliance of the method. 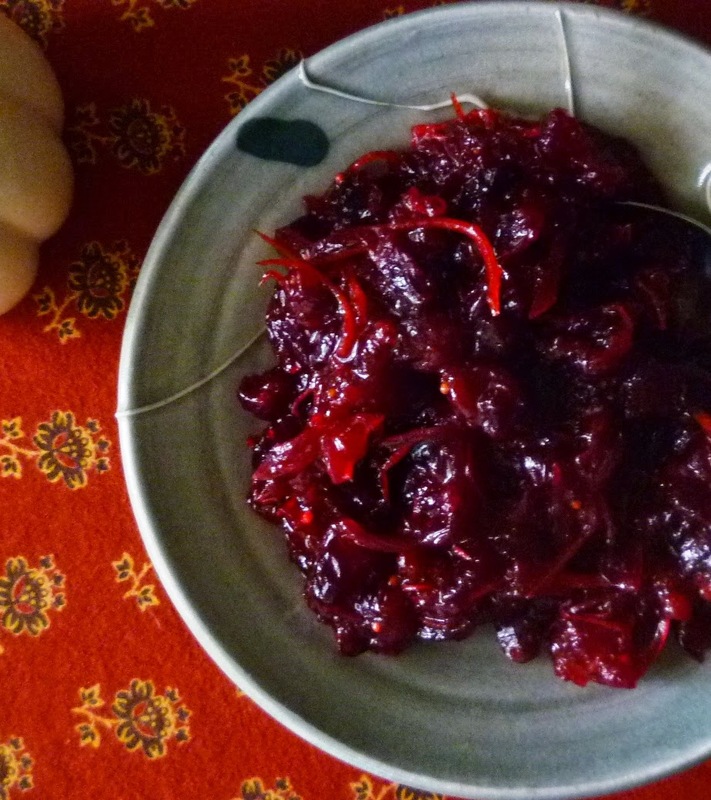 Instead of simmering the cranberries in a sugar syrup, they are simply tossed with the sugar and a few aromatic seasonings, spread on a parchment- or foil-lined baking sheet and then roasted until they begin to burst and bubble. The roasting process—as well as the fact that the recipe doesn’t have nearly as much added liquid as most recipes—results in a sauce with a rich and concentrated cranberry flavor. 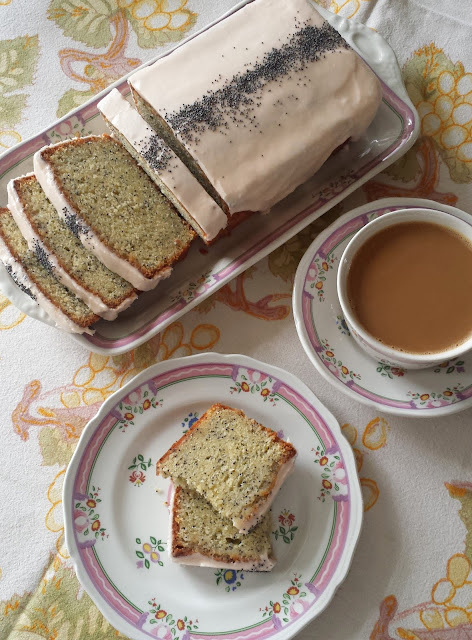 The original recipe was flavored with julienne strips of orange zest and jalapeño, whole cardamom pods and cloves, as well as a cinnamon stick. After roasting, the sauce is finished with port and orange juice. Nancy has substituted ground cloves and ground cardamom for the whole spices in her version of the sauce. It is just too tedious to root around in the sauce to find the whole spices and remove them. The cinnamon stick is of course quite easy to find…but I suppose you could replace it with ground cinnamon if you prefer. After class this week, I decided I wanted to try this method with a different set of flavors…a more traditional, chutney-like mix of spices. In addition to the clove, cinnamon and cardamom, I added some yellow mustard seeds. I also added julienne fresh ginger and shallots and omitted the jalapeño. I was very pleased with the result: complex and spicy…a perfect little exclamation point for the Thanksgiving menu. I should emphasize that I didn’t change the cranberry sauce recipe because I didn’t like the original…I do like it…a lot. Rather, I was so enamored with the method that I wanted to try it with other flavors. Either version would make a delicious addition to your Thanksgiving festivities…. Or, you could come up with your own preferred mix of aromatic additions. 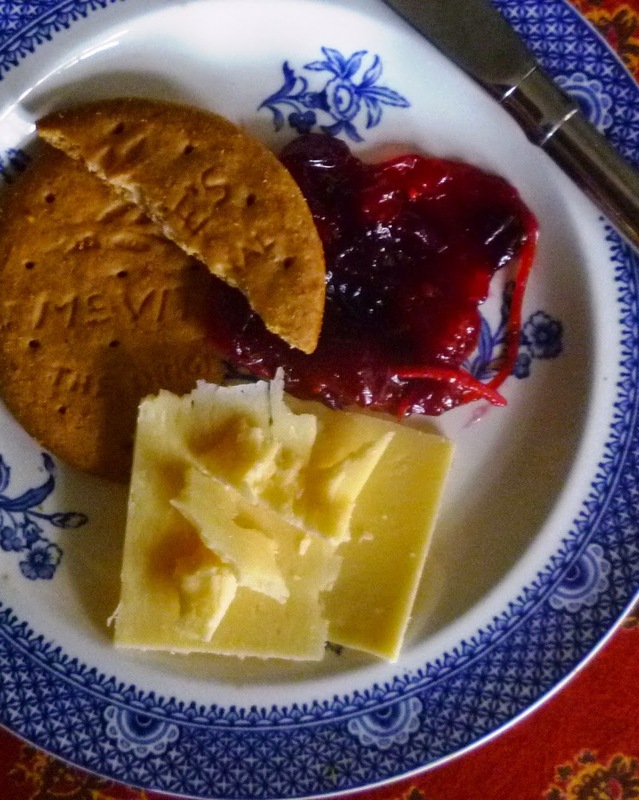 I sampled my finished relish with cheese and digestives for an afternoon snack. It was very good. So good in fact, that if you prefer, instead of including it on the table to accompany your turkey, you could make it a part of a cheese and relish tray with which to greet your hungry guests. I do hope that I will have some time to squeeze in another post before the holiday. But if I do not, I want to take the time now to wish everyone a very Happy Thanksgiving. May you find yourself at a table laden with delicious food and surrounded by those you love (and who love you) best. Heat oven to 450°. Using a peeler, remove peel from the orange, taking off as little of the white pith as possible. 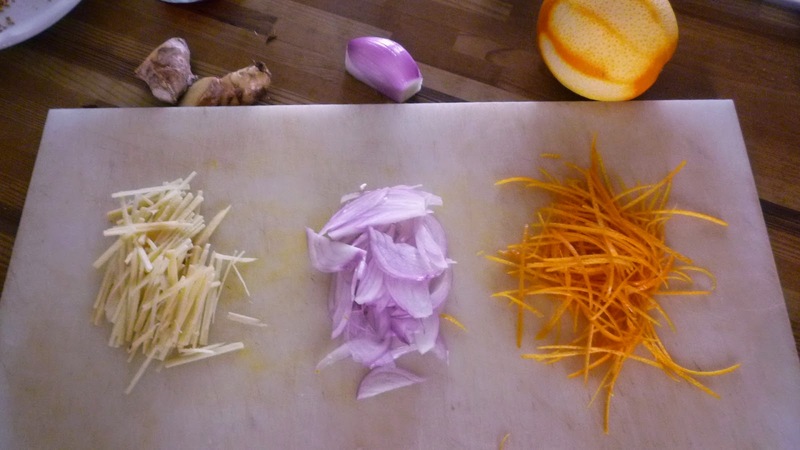 Cut peel into a very thin julienne about 1 1⁄2" long. Squeeze juice from the orange; strain and reserve. In a bowl, combine peel, cranberries, sugar, olive oil, salt, cardamom, cloves, mustard seed, cinnamon, shallot and ginger. Toss and transfer to a rimmed baking sheet that has been lined with parchment or foil. Spread the mixture out into an even layer and transfer the pan to the oven and roast until cranberries begin to burst and release their juices, about 12 to 15 minutes. Scrape the cranberry mixture to a bowl; stir in the port and a quarter cup of the reserved orange juice. Let sit for at least 1 hour so that the flavors meld. Remove and discard cinnamon stick before serving. The relish may be served at room temperature or chilled. In a large bowl, combine the flour, baking powder, sugar, salt and cayenne. Using your fingers, or a pastry cutter, cut the butter into the dry mixture. 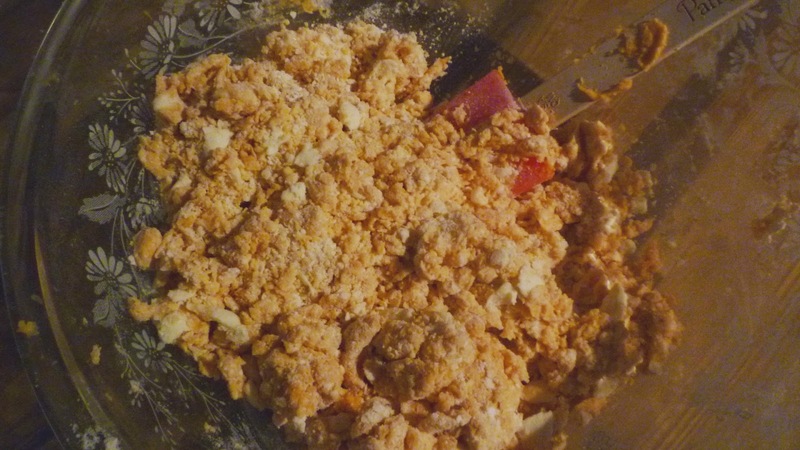 Combine until mixture resembles a coarse meal. Whisk together 6 T of the milk and the sweet potato. Using a fork or rubber spatula, combine the liquid with the dry ingredients until the mixture is homogenous. It will look a bit dry, but if when you squeeze some of it together, it adheres, you have added enough liquid. If necessary add the remaining 2 T. milk. Turn out the mixture out onto a lightly floured surface. Press the dough together and give it a gentle knead or two to bring it together into a soft dough. 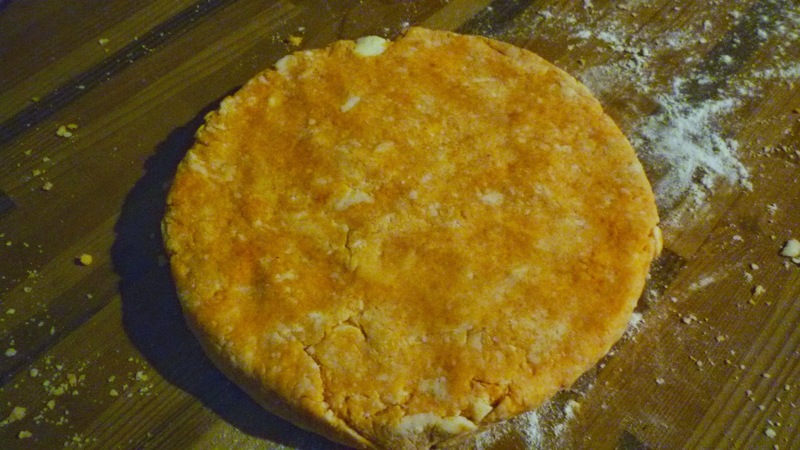 Press the dough out into a 3/4- to 1-inch thick disc. and bake in the top third of the oven until the biscuits are golden brown and springy to the touch, about 15 to 20 minutes. Makes 12 to 20 biscuits, depending on the size cutter you choose to use. Note: You will need about a pound of sweet potatoes to produce 1 cup of purée. Roast the sweet potatoes in a 400° oven. Prick the sweet potatoes in several spots with a fork or paring knife and transfer to a baking sheet. Bake until easily pierced with the tip of a knife, about 40 to 60 minutes. When cool enough to handle, cut open the sweet potatoes and scoop out the flesh. Purée in the food processor, or press the flesh through a sieve or mesh strainer. Hi Paige, I made the cranberry relish and it was wonderful. It was great with the meal but I liked it best with cheese and crackers! Hi Sam! I'm so glad you liked the relish...thanks so much for letting me know! I discovered after Thanksgiving that the relish is also delicious on a turkey sandwich :) .